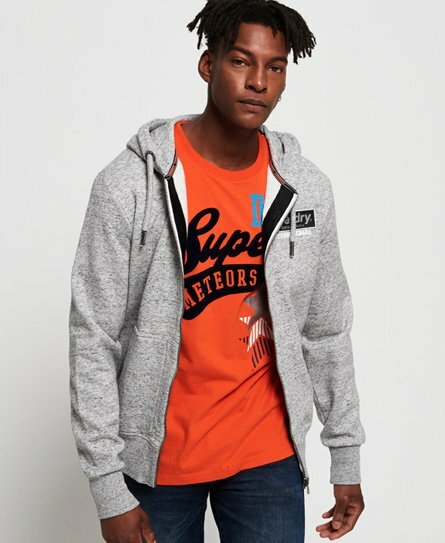 Superdry men's International monochrome zip hoodie. Update your basics with this zip hoodie, featuring a main zip fastening, drawstring adjustable hood, two front pouch pockets and a ribbed hem and cuffs. Finished with a rubber Superdry logo on the chest, Superdry logo tab on the hem and the signature orange stitch on the side seam.